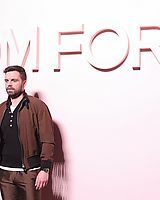 American actor of Romanian origin, Sebastian Stan, who has come to play in some of America’s most titled American film productions, alongside actors such as Matt Damon, Natalie Portman, Scarlett Johansson, Chris Evans or Robert Downey Jr. this spring. 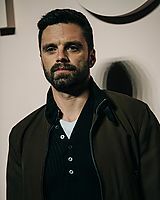 Sebastian Stan will be the guest of honor of the second edition of the American Independent Film Festival, which will take place in Bucharest between April 27 and May 3, 2018, and will present for the first time in Romania his latest biopic ” I, Tonya, “ directed by Craig Gillespie, three Academy Award nominations, a Golden Globe and five BAFTA awards. Along with Sebastian Stan at this year’s American Independent Film Festival, other personalities of American cinema will be present and the festival will continue to bring to Bucharest a selection of the most appreciated recent US independent films. Sebastian Stan plays alongside Margot Robbie and Allison Janney in “I, Tonya” (2017), about the famous skater Tonya Harding, one of the most praised movies of the year, with three Academy Award nominations, the Golden Globe for Allison Janney 5 nominations for the BAFTA Awards. The film will open American Independet Film Fetival this year on April 27, and will be followed by a dialogue with Sebastian Stan. The public in Romania will have the opportunity to learn from the Romanian actress how to be a platter colleague with Meryl Streep, Margot Robbie, Anne Hathway or Ashton Kutcher. 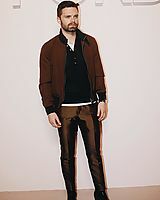 Sebastian Stan is the most popular Romanian actor who succeeded in establishing himself in the American film industry. The great directors remarked his charm and talent and co-authored him in Oscar productions. In Martian (7 Oscar nominations) he starred opposite Matt Damon, and in another award-winning film, “Black Swan”, he is part of a top cast with Natalie Portman, Mila Kunis and Vincent Cassel. He also starred in Broadway music-halls and the American-popular “Gossip Girl” series among American teenagers. In his latest film, “Captain America” ? ?starring Robert Downey Junior, Scarlet Johanson, Chris Evans, Hugo Weaving, and Samuel L. Jackson. The Romanian actor even received some replies in Romanian.